What is a content marketer’s ultimate dream? To increase brand awareness, establish brand perception and to increase demand generation – often using content performance metrics such as views, social shares and engagements as softer indicators of success. So you’ve written a great piece of content that you’re sure is deserving of lots of views, shares and engagement- great! But in order for you to achieve these things, it’s imperative that your content gets in front of the right people. And by the right people, we mean your target audience that you’re wanting to sell to. What better way to reach the target audience than to get on the radar of those whose audience are your target audience? Discovering who the key influencers are in your industry and relevant to your product category, whose knowledge and expertise have an impact on your target customers’ opinions and buying decisions, will enable you to identify open doors for you to reach the people that matter. All it takes is for an influencer to share your piece of content, or even better, to reference your content and link back to it in their own content and the masses will come flocking to your site. Sounds simple – right? But how can you do this? How can you get an influencer to read and see value in your content enough for them to want to share it with their audience? The answer? Integrated-Influencer-Content (IIC) – like Influencer-Generated-Content (IGC), but different; its cousin. Let us explain. I’m sure we’ve all heard of the digital marketing trifecta consisting of earned, owned and paid media; covering everything from websites, PPC and social media accounts to social media engagement and word-of-mouth. Now, we’re about to ruin the trifecta by adding a forth element: shared media. 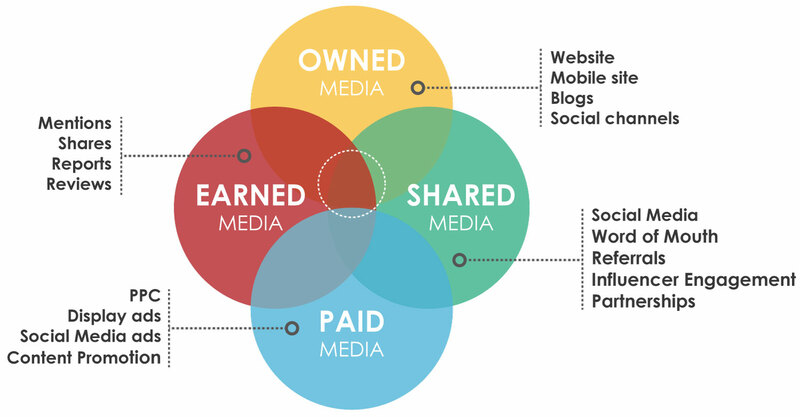 Shared media is all about engaging with and creating online and written content with other parties, in which more than one party benefits from engagement, exposure and worth-of-mouth. What some people may refer to as a ‘win-win’. For example: a brand engaging with their customers and influencers on social media. IIC falls into the shared media category, but overlaps some other areas of the trifecta. It’s all about forming partnerships with well-aligned influencers, creating some great content on your owned media channels, getting your influencers to contribute, promoting the content organically within your networks on both the brand and influencer channels, and receiving lots of great engagement on the content from your audience and the influencers’ audience. Paid media can of course be included here too to amplify content impact too. An influencer guest blogging on your site, or co-creating some content with you. The main benefit to brands is that they can gain access to an influencer’s audience and/or knowledge, skill and creativity; the influencer is given a platform to gain further exposure to their personal brand, expertise and any upcoming projects they’re working on. For example: a webinar uploaded to your brand’s site, co-hosted with an influencer, in which the influencer has written the content, in order to promote their up-coming e-book. Users and customers writing content. The authentic, unbiased opinions of existing users provide potential future customers with honest perspectives and experiences. For example: customer reviews left on product pages. Rather than working with an influencer to create a piece of content together, or having them to guest-blog on your site, IIC instead relies on just inviting influencer(s) that are relevant to the content topic, to feature in or make a small contribution in one way or another to a piece of branded content. One way of doing this, is by inviting an influencer to contribute a quote or prediction that you can easily integrate into the narrative of your content. 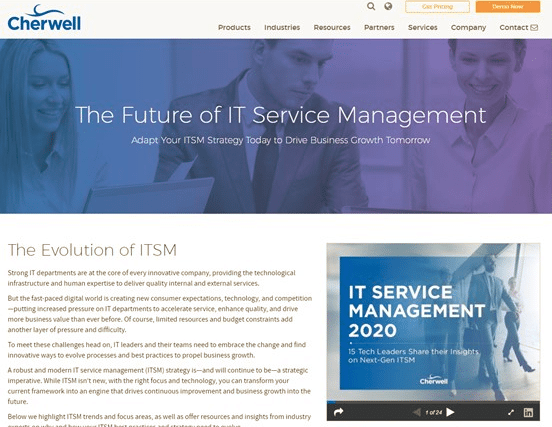 A great example comes from Cherwell, a leading IT Service Management company (ITSM), dedicated to helping their customers use intuitive technology that enables better, faster, yet more affordable innovation. They teamed up with our agency partner TopRank Marketing, to increase brand visibility and thought leadership in the ITSM industry. 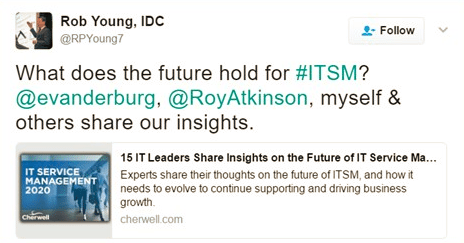 The way in which they did this was by publishing a blog post written and hosted by Cherwell, but with contributions and thoughts from 15 leading voices, on the topic of ‘Next-Gen ITSM’. Another great way to include influencers in your content is to recognise them and their work within your content. 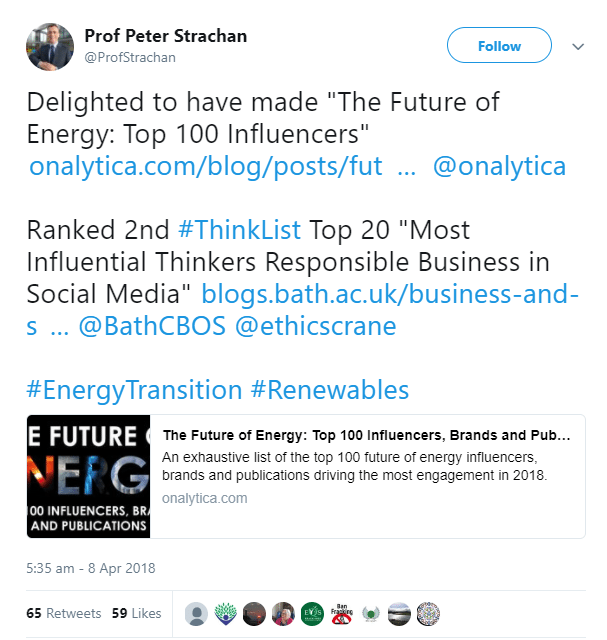 We actually do this a lot at Onalytica – we identify the top influencers and brands that are driving conversation and online influence on hot topics within key industries. Once we publish our content recognising the top influencers in a space, we let them know that they have been featured. Influencers are often flattered and proud to be recognised in and amongst other great influencers. They’re excited to share this with their audience, without having contributed at all. The greatest benefit to your brand, is that including influencers in your content marketing strategy full stop, will increase your brand exposure. Working with influencers enables you to not only tap into their knowledge and expertise, but to also gain exposure to their audience too. It’s important to remember that influencers will be very open to opportunities that are going to help them become more influential. Influencers are influential because of their knowledge, expertise and the value that they provide their audience, so they’re likely to jump at the opportunities increase their brand exposure, and to demonstrate the value that they have contributed to the industry with their audience. Not only this, but they’re going to be proud to share their contribution; they’re going to love having some more on-topic content to share with their audience on all active social platforms. Best of all, influencers’ audiences (including yet more influencers) are likely to share and link to your content if your influencers have shared it, increasing the overall exposure and authority of your content. Sticking to the Cherwell example – influencers that were involved in the piece were excited to share the work they had done in this space with Cherwell, and other reputable influencers too. Getting branded content and product pages to the top of page 1 remains of paramount importance as organic search continues to be such a prominent entry point into the sales funnel. Content marketing teams must ensure that they have a solid content marketing strategy in which you produce strategic, SEO-optimised content that is going to answer your target customer personas’ questions. You want to answer their questions all while positioning your brand as the solution – without making the content too branded. A huge aspect to improving SEO is the quantity, context and quality of your back links. Since influencers are deemed authoritative figures, them sharing or linking to your content will do wonders for your SEO. 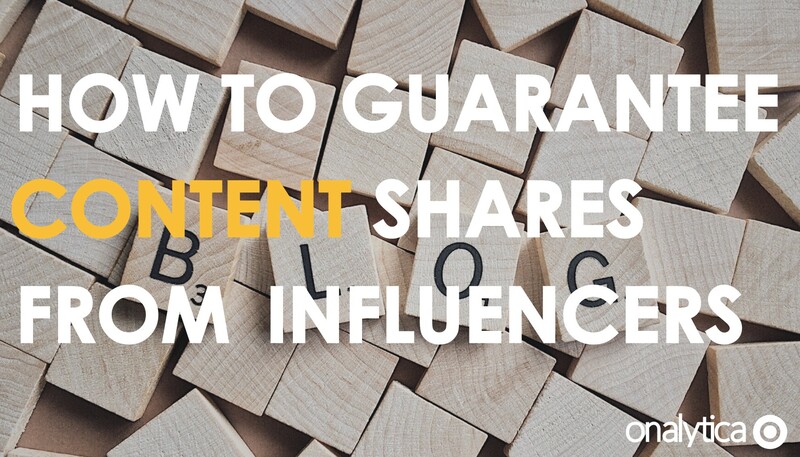 Them sharing your content is also likely to spark a domino effect of their audiences and other influencers in the wider community sharing the content too. The beauty of IIC over IGC, is that it is far less time consuming on the influencer’s part. Influencers are busy people and high in demand. They will be writing their own content, attending conferences, as well as being approached by other brands for collaboration opportunities too. Asking for a small quote or a prediction is an opportunity for the influencer to reap great exposure, for relatively little investment of their time. Your content creation team may also save some time too. Collaborating on content with an influencer or having them create some content for you are highly valuable tactics too but they can be very time consuming with lots of proof-reading, back and forth and editing time needed to ensure that messaging and tone-of-voice are in line with your branding. Working on a piece of content internally, and approaching influencers to contribute a quote or prediction will be a far quicker process. With the above said, they are far more likely to say yes. If you catch an influencer at a bad time when they’re busy writing a white paper, or they’re living out of a suitcase travelling from conference to conference, an opportunity to collaborate on some content or guest blog on your site may sound like a great opportunity, but may not be feasible for them and their work schedule at that time. Contributing a quote or prediction will be equally as valuable to them in terms of demonstrating their expertise and gaining exposure, but given that it’s less of a commitment and less time-consuming, they’re far more likely to jump at the chance. 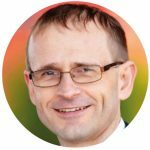 In addition to this, it is flattering – as highlighted by Ian Moyse. You’re showing that you value their expertise and knowledge. Including reputable, knowledgeable influencers in your content not only improves the perceived quality of your content, but the actual quality too. Having the influencer’s name associated with your content will increase the desire to read the content in the first place, but the quote or prediction itself will add actual value to your content. Influencers will jump at the chance to have their names in and amongst other great industry influencers that they themselves look up to; whose work and expertise they admire and value. Other influencers included will also share the content too, so there is also the chance for them to be exposed to other influencers’ audiences too. When posing the opportunity to contribute to the influencer, ensure that you’re really selling the opportunity for all its worth. They will feel like they’re missing out and turning down a great opportunity if they see that other great influencers are going to be featured in the piece too – nobody wants that dreaded FOMO. IIC is a great opportunity to reach out to influencers at each stage of the influencer pipeline – from the colder end of the spectrum, right the way through to the warm brand advocates. 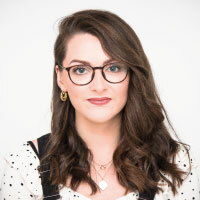 Getting influencers on board in the early stages is all about light touches and recognition – what a great way to recognise an influencer’s expertise by approaching them for a quote? Once you can demonstrate the value and success that has come from the blog post, you can use this to sell an opportunity for the influencer to get more involved in content collaboration. This is also far easier once you have a relationship with the influencer. If you’re interested in speaking to a member of the Onalytica team on how you can optimise your content marketing strategy working with influencers, get in touch by clicking the button below.